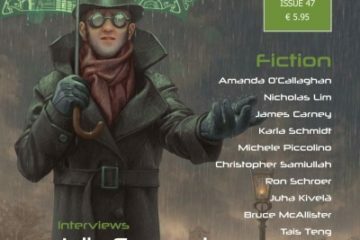 Last month saw the release of the Science Fiction Writers Sampler 2014, which features short stories, novella and novel excerpts, interviews, biographies and links to author publications provided from seventeen contemporary science fiction writers across the globe. Three of those authors are contributors to Albedo One: Arts and General Editor David Conyers and recent additions to the team, Contributing Editors Konstantine Paradias and Roderick MacDonald. This is not an edited anthology, with the standards set by a controlling editor, nor is it a showcase from the big publishers of their top SF authors. Instead the SF Writers Sampler is the collective effort of all authors and artists involved, who worked together to create a free eBook with a goal to promote their individual works under one banner. Authors chose their own stories and wrote their own interviews. The Sampler is offered free of charge on Amazon, Kobo and Barnes & Noble. No one got paid; author income was instead generated by readers seeking out the individual writer’s other works they liked. Now on the market for a little over a month, the SF Writers Sampler has proven highly successful, reaching #4 on Amazon’s Science Fiction Anthologies and Short Stories free listing, and is in steady competition with other popular SF anthologies, including David G. Hartwell’s and Kathryn Cramers’s Year’s Best SF, and Richard Horton’s Science Fiction: The Best of the Year series. The Sampler originated from an idea formulated by two Australian SF writers, David Conyers and David Kernot, the editors of the recent exoplanet anthology Extreme Planets. “The last few years have seen an immense change in the publishing industry, ” said David Conyers, who works in marketing communication and is the Art and General Editor of Albedo One magazine. “Digital publishing has allowed greater opportunities for writers to get their work noticed, offering many more paths to a professional writing career than the traditional means of submitting to magazines and publishers ever had. Hence the two David’s came up with the idea for the Sampler. Contributing authors are predominately those breaking into the genre. Many of whom have been published by pro magazines such as Analog Science Fiction and Fact and Interzone. 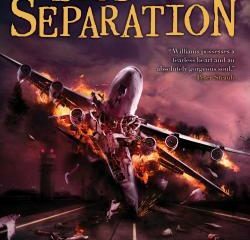 There is at least one Hugo Award Nominee in the mix, Brad R. Torgersen. Other authors represented include Jeffrey Thomas, Martin L. Shoemaker, Larry K. Pinaire, Konstantine Paradias, Geoff Nelder, M.O. Muriel, Roderick MacDonald, David Kernot, Patty Jansen, Guy Immega, Kevin Ikenberry, Mark Iles, Stephen Gaskell, Kary English, David Conyers, and Gustavo Bondoni. Cover art was provided by British digital artist Paul Drummond and internal art by M.O. Muriel, both of whom were also interviewed, and links to their works can be found inside the pages. Since its release, all authors involved have noticed significant rises in the sales of their eBooks. 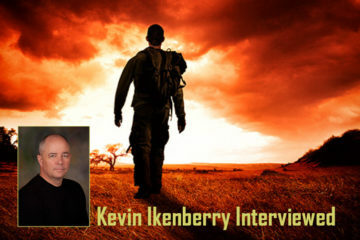 “There is still a lot of controversy surrounding the indie styled approach of self-publishing over more traditional methods,” said David Kernot. “The topic always generates enormous polarised views. The plan is to release a new edition each year, and encourage authors who want to become involved to contact them for the 2015 release. They also encourage authors to get together with their peers and release their own samplers in their own genre-of-choice. As someone who had sold 90,000 ebooks and wants to sell more, I would be very interested in doing something like this. Where do we sign up?